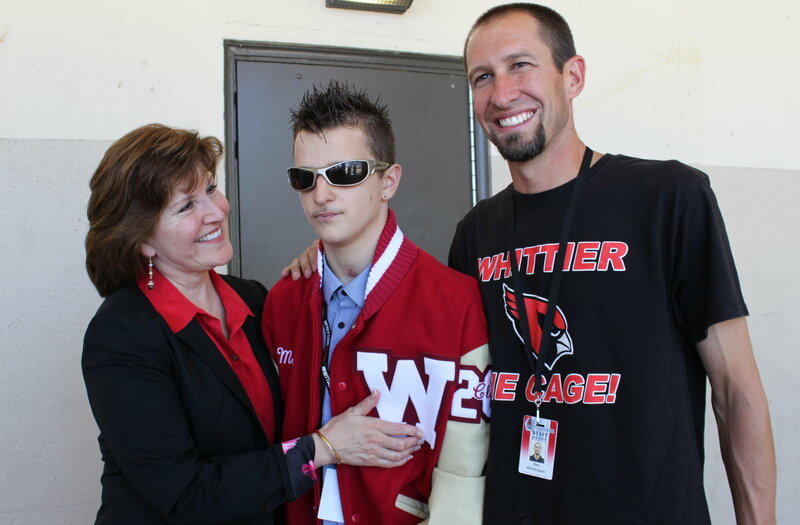 Whittier Union High School District Superintendent Sandra Thorstenson embraces Whittier High School student Mason Tellez, who is also joined by Whittier High School track coach Dan Whittington, whose heroic actions may have saved Mason’s life. WHITTIER – Whittier High School student Mason Tellez got a resounding Cardinal welcome from his peers, teachers and friends when he returned to the campus for the first time since recovering from a devastating health event that at one point left him unable to walk or talk. With the help of his parents, chants and cheers from the audience, and a standing ovation from the more than 2,400 students and staff members at Whittier High, on Friday, Aug. 29, 2014, Mason walked across the stage of Vic Lopez Auditorium on his own and gave a heartfelt “thank you” to his Cardinal family. Mason has been undergoing months of extensive therapy and daily rehabilitation since collapsing in March due to an undetected heart condition while he was training with the school’s cross country/long distance track team. Mason returned to school as a senior this week. 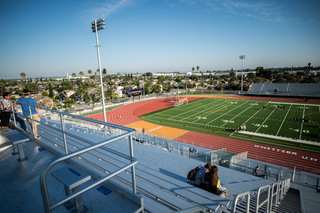 As a prelude, Whittier High held a welcome-back assembly that brought Mason and his parents together with the people who saved his life: Dan Whittington, Whittier High’s track coach at the practice, who administered CPR until the police and paramedics arrived, and Whittier Police Chief Jeff Piper and Officer Tim Roberts. While Mason continues to make progress, including walking on his own, carrying on conversation, he is still working on regaining his vision. Whittier Union and Tellez’s peers have rallied behind Mason since the tragedy, visiting him in the hospital, writing him notes, wearing T-shirts with the supportive message, “Live Everyday Like A Mason Day,” and organizing a track team run from Whittier, Pioneer, La Serna, Santa Fe and California high schools to PIH Health, where he received his medical care. Mason’s parents, Ellen and Chuck, said they would like to thank everyone in the Whittier community, Whittier High School’s students and staff, for the ongoing love and support their son and family have received throughout Mason’s recovery. 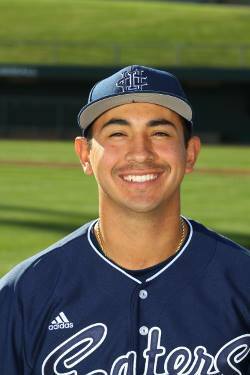 WHITTIER – Former Rio Hondo College Roadrunner pitcher and 2012 Foothill Conference Baseball Player of the Year Andrew Morales is headed to the majors after being drafted by the St. Louis Cardinals. The right-handed hurler, who had just completed his senior year at UC Irvine, was called up in the second round of the 2014 Major League Baseball Draft after he led the Anteaters to the College World Series. He received a $546,000 signing bonus. Morales is ranked fourth in the country with 17 starts and 128 strikeouts. During his tenure at Rio Hondo, Morales earned the California Community College Baseball Coaches Association All-American and Pitcher of the Year awards, and won All-Foothill Conference first-team accolades in 2011. Morales attended South Hills High School in West Covina where he was 8-2 on the mound as a senior. 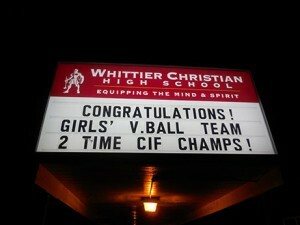 He helped guide the team to two league championships and a California Interscholastic Federation (CIF) Division 3 title. At South Hills, Morales also earned All-CIF first-team recognition and was the 2010 All-San Antonio League first-team honoree. During his career at Rio Hondo, Morales made 28 starts and struck out 135 batters in 182 innings. He logged three complete games and a save, and with an ERA of 2.42, he walked only 42 players his freshman year. By the end of his sophomore year, Morales had walked just 23, earning an ERA of 2.01. In 2012, Morales made the All-Pacific Association Division first-team. He went on to UC Irvine and racked up an impressive list of accolades, including the National Collegiate Writers Baseball Association pre-season first-team All-American; Collegiate Baseball “Louisville Slugger” pre-season second-team All-American; and College Sports Madness pre-season third-team All-American and first team All-Big West. Other notable Major League players who got their start at Rio Hondo include slugger Evan Longoria from the Tampa Bay Rays and pitcher John Urrea, who pitched for the Cardinals and the San Diego Padres in the 1970s and ’80s. WHITTIER – It seems that every pub, restaurant and household in the United States has fully embraced World Cup fever, but did you know that Rio Hondo College has been a launching ground for some of the sport’s professional athletes? The Rio Hondo Men’s Soccer program is one of the best in the Foothill Conference and Southern California. Coach Orlando Brenes, who is Costa Rican, has helped the Roadrunners win the conference title from 2002 to 2009 consecutively. In the 2013 season, Brenes led the Roadrunners to a 13-5-5 overall record and a 7-1-0 conference record, clinching the Foothill Conference championship yet again. Marvin Quijano led the Rio Hondo Soccer Team to many victories while securing a slew of top honors, including All-Time Conference Most Valuable Player. He caught the attention of professional soccer recruiters and in 1999 Quijano found himself starting for the L.A. Galaxy. Quijano played for the Galaxy until 2002 when he began his tenure with the Colorado Rapids, where he finished his professional soccer career. Luis Aguilar played on the Rio Hondo College Men’s Soccer Team in 2002 and 2003. In 2004, he transferred to the University of San Francisco where he completed his collegiate career in 2005 after winning back-to-back West Coast Conference (WCC) Division I titles with Second and First Team All-WCC awards. He has played with the Ajax Orlando Prospects of the United Soccer Leagues (USL) Premier Development League, the California Cougars of Major Indoor Soccer League and San Francisco Seals. In 2007, he signed with the USL First Division expansion team, California Victory, and later the Montreal Impact, where he made the starting squad for the playoffs. The “New Frontier Players,” members of a baseball and soccer club for developmentally challenged children based in La Mirada and Whittier, are turning their sports acumen toward the stage when they perform in a play/talent show at 7 p.m. on Tuesday, July 1, 2014 at the Whittier Community Playhouse, 7630 S. Washington Ave. in Whittier. Coached by Ray and Jolene Marrero, the New Frontier Players promise to dazzle. Come laugh, cry, cheer and most of all applaud their efforts. Donations are $5 and help support the baseball and soccer teams. For more information call 714-253-6312 or 562-567-9470. The Rotary Club of Whittier is hosting its 18th Annual All-Star Baseball Classic and 11th Annual All-Star Softball Classic to be held on Wednesday, June 11, 2014 at York Field in Whittier. 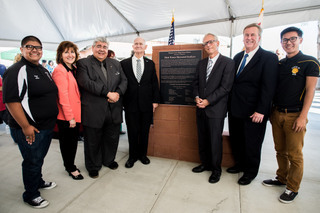 York Field is located at the southeast corner of Santa Fe Springs Road and Slauson Avenue in Whittier. All-Star Coaches for Baseball are Bobby Ramirez, of Pioneer High School and Anthony Gonzalez, Jr., of La Serna High School; and for softball are Jim Maier of St. Paul High School and Mike Reed of La Serna High School. The All-Star Softball game will commence at 3 p.m., and the All-Star Baseball game will follow at 6 p.m. The Home Run Derby will precede the baseball game. Admission for both games and the Home Run Derby will be $5 for adults; $3 for high school students with valid student ID; and, free for children 12 years and younger. Many community-minded organizations support this event including: Home Run Sponsor, Toyota of Whittier; Triple Play Sponsor, Rose Hills Memorial Park & Mortuary, and All-Star Sponsors: Brookfield Residential, Consolidated Disposal Service, PIH, Popular Community Bank, and San Gabriel Valley Medical Center. The Snack Shack Sponsors are Orchard’s Fresh Foods and Sprouts Farmers Market, and the Banquet Sponsor is Radisson Hotel Whittier. Proceeds from the event will benefit local charities and fund projects in the community. The thirteen area high schools represented in the Classics include: California, El Rancho, La Mirada, La Habra, La Serna, Montebello, Pioneer, Saint Paul, Santa Fe, Sonora, Schurr, Whittier and Whittier Christian. 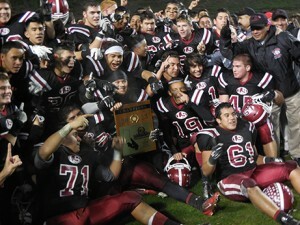 La Serna High players and coaches celebrate after their victory over Norwalk. 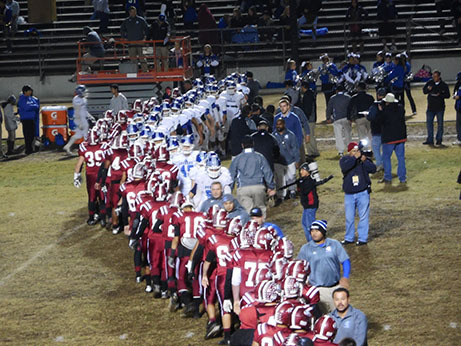 FULLERTON – The old saying, “the third time is a charm,” rang true for La Serna High School’s football team on Saturday, Dec. 7, 2013. La Serna senior quarterback Frankie Palmer threw a 19-yard game-winning touchdown pass to senior wide receiver Matthew Rosales, lifting the Lancers to a thrilling 41-38 double overtime victory over top-seeded Norwalk in the CIF-Southern Section Southeast Division championship game in front of a packed house at Cal State Fullerton. Saturday’s triumph marked the second CIF-SS divisional title for La Serna, which won its first crown in 1967. It was the third consecutive divisional championship game appearance for the Lancers, who fell short in 2011 and 2012 before breaking through on Saturday. La Serna’s winning score came on a fourth-down-and-4 play, which started with Palmer rolling out to his left. Palmer then went back to his right before launching the decisive throw to Rosales. “I saw one of my best friends open, threw it and he made the play,” Palmer said of Rosales. Palmer also ran for three touchdowns for La Serna, which ended its historic 2013 season with an overall record of 12-2. Things looked bleak for the Lancers in the later stages of the fourth quarter. 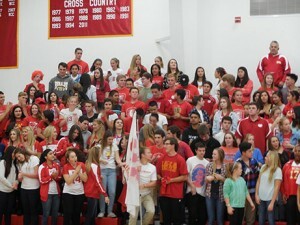 Norwalk, whose nickname is also the Lancers, was leading 29-21 and was looking to put the game away. After forcing a La Serna incompletion, Norwalk took possession at La Serna’s 22-yard line. Norwalk moved the ball to La Serna’s 4 before senior kicker Jorge Perez attempted a 21-yard field goal with just more than three minutes remaining. La Serna senior defensive back Tony Ceron, however, blocked Perez’s attempt. Junior running back/linebacker Kevin Ramos then recovered the ball and returned it 75 yards for a touchdown. Palmer’s successful run on the two-point conversion tied the game at 29-29, setting the stage for overtime. Norwalk, which won the toss and elected to go on offense first, cast the initial blow during the extra session. Junior quarterback Jacob Carr gave Norwalk a 35-29 advantage when he scored on a 1-yard run. La Serna then successfuly countered with Palmer’s 2-yard run before Perez’s 21-yard field goal put Norwalk back ahead 38-35. Norwalk’s lead would not last long, however. It was the first defeat of the season for Norwalk, which finished 13-1. After Palmer’s 4-yard run gave La Serna a 21-14 lead at halftime, Norwalk responded by scoring 15 unanswered points. Carr’s 18-yard touchdown toss to senior running back Rashaad Penny, followed by Carr’s successful two-point conversion run, gave Norwalk a 22-21 lead in the third quarter. Norwalk then extended its lead when Penny ran for a 61-yard touchdown, which came with 7 minutes, 10 seconds remaining in the fourth quarter. WHITTIER – La Serna High School senior quarterback Frankie Palmer scored on a 4-yard run with 23 seconds remaining in regulation, lifting the host Lancers to a thrilling 28-21 victory Friday, Nov. 29, 2013 over Burbank in the CIF-Southern Section Southeast Division semifinal. The game-winning touchdown capped an impressive day for Palmer, who accounted for three touchdowns in front of a packed house at California High. He ran for two scores and threw for another. Friday’s triumph lifted La Serna (11-2) to the CIF-SS divisional championship game against Norwalk (13-0), which is scheduled for 7 p.m. on Saturday, Dec. 7. Site is to be determined. It marks the third consecutive trip to the divisional finals for La Serna, which is attempting to win its first CIF-SS football divisional crown since 1967. 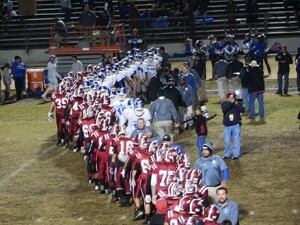 The Lancers, who fell to West Covina in 2011 and Downey last year, are hoping the third time is a charm. La Serna, trailing 21-14 in the third quarter, tied the game on Palmer’s 1-yard run that came on a quarterback rollout. Palmer’s score, which came with 3 minutes, 3 seconds left in the third quarter, capped a 15-play, 60-yard drive. After a strong defensive stand forced a short Burbank (10-3) punt, the Lancers regained possession with under four minutes remaining in the fourth quarter. Palmer’s winning touchdown completed a 7-play, 44-yard drive. Palmer finished with 165 yards while completing 12 of 22 attempts. His one touchown pass, which went 42 yards to senior wide receiver Matt Rosales, came on the game’s opening drive. The Bulldogs quickly recovered by scoring 14 unanswered points before the end of the first quarter. After senior running back Joseph Pendleton’s game-tying 45-yard scoring run, Burbank grabbed a 14-7 lead on junior quarterback Ryan Meredith’s 49-yard touchdown pass to senior wide receiver Oharjee Brown. The Bulldogs’ go-ahead score was set up by a recovery of a La Serna fumble. La Serna, however, received a defensive boost when senior defensive back D’Andre Sanchez intercepted a Meredith pass and returned it 34 yards for a touchdown, which tied the game at 14-14 before halftime. The Bulldogs grabbed a 21-14 advantage in the third quarter’s early stages when Meredith threw a 38-yard scoring pass to Brown, which was caught on a deflection. The only remaining hurdle that separates La Serna from a CIF-SS divisional title is Norwalk, which defeated Muir 35-28 in Friday’s other divisional semifinal. Whittier Christian’s thrilling 2013 season came to an end when it lost Saturday, Nov. 30, 2013 to top-seeded Santiago High of Corona, 19-25, 21-25, 24-26. 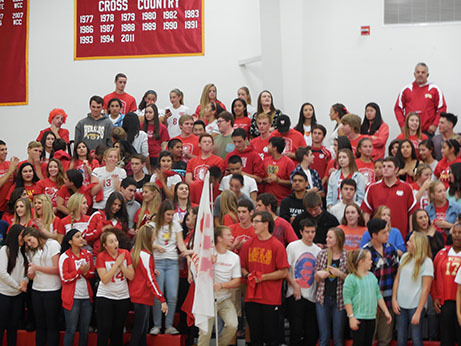 The Heralds, which recently captured their second consecutive CIF-SS Division 2A crown, finished with an overall record of 33-7. Senior outside hitter Deanna Blaine recorded a team-high 15 kills while fellow senior outside hitter Kylee Wolfe added 10.